Stevia is an herbal non calorie sweetener, a completely safe sugar substitute. The sweetner industry has tried to prevent the knowledge of this amazing plant with its great health benefits so that the non-safe artificial sweetner Aspartame did not encounter any competition! From December 2011 Stevia has been approved for use in the EU. I don’t want to dwell too much on this, its way to depressing that big businesses have the power to suppress something healthy, that would have helped a lot of people on the way, just to make money. I first came across Stevia, when I was seeing a health practitioner in the early nineties to get rid of my over the top sugar cravings. It really helped, but then suddenly I could not get hold of the stuff. Stevia extract is about 300 times sweeter than sugar and it comes with added health benefits! It has hardly no effect no effect on blood glucose, it actually balances blood sugar and can be used by diabetics , and did I mention it has virtually no calories! Because Stevia is now legal in the EU you can find it in most shops, but read the labels, some Stevia products have a lot of fillers. For me, the closer to nature the better. I want mine organic and pure and therefore I buy mine from a herbalist. 1. I use the White Stevia Powder as a sugar substitute only. It has gone through a process making it 300 times sweeter than sugar, but completely safe for the whole family. For the kids hot chocolate I mix 1/2 pinch of Stevia, 1 teaspoon of pure cacao powder (from health shop) with hot rice or almond milk. 2. 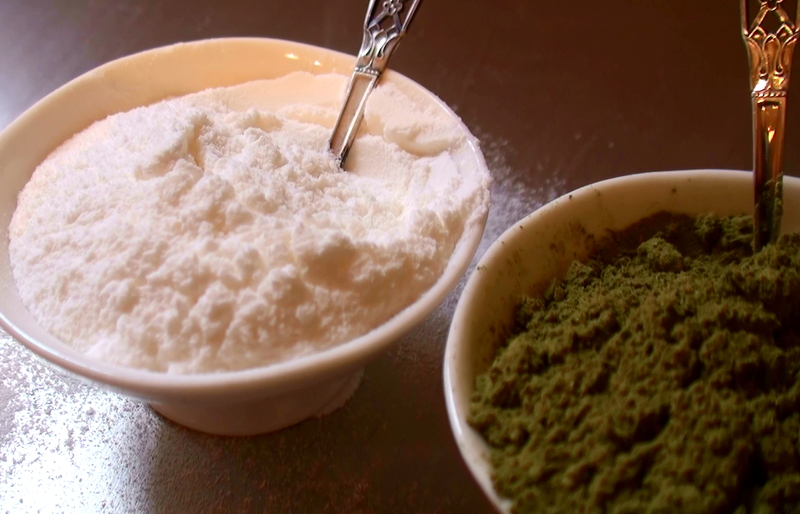 The Whole Leaf Stevia Powder is basically the leaves of the plant ground to a fine powder. It’s packed with goodness. Apart from balancing blood sugar it has also antimicrobial properties that can slow down growth of bacteria. I have heard of people using it for skin conditions like acne, excema and psoriasis, apparently it speeds up the healing process if you apply it on your skin. It’s 70% sweeter than sugar and also has a slight “green” taste, so I mostly use it in herbal teas. Sounds good for safe sugar substitute, I think Sugar free also one of the best options for that.